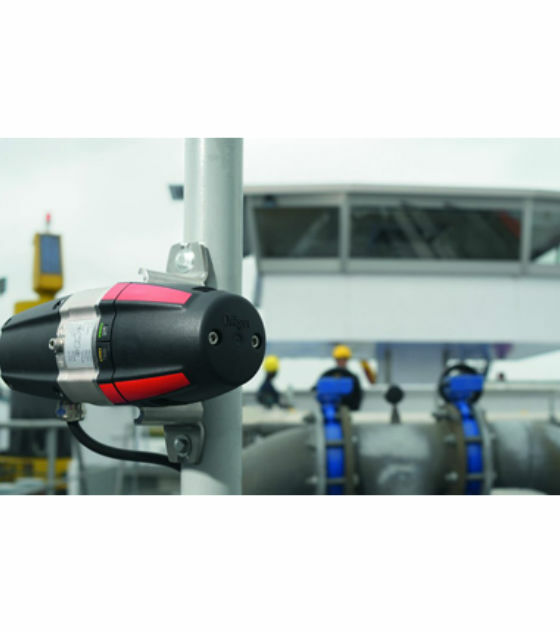 The Drager PIR 7000 is an explosion proof point infrared gas detector for continuous monitoring of flammable gases and vapours. Built for the harshest industrial environments, e.g. offshore installations. Two models of the Drager PIR 7000 are available - type 334 and type 340. Each model works with a different measuring wavelength, thus giving the broadest possible range of detectable substances with superior accuracy. 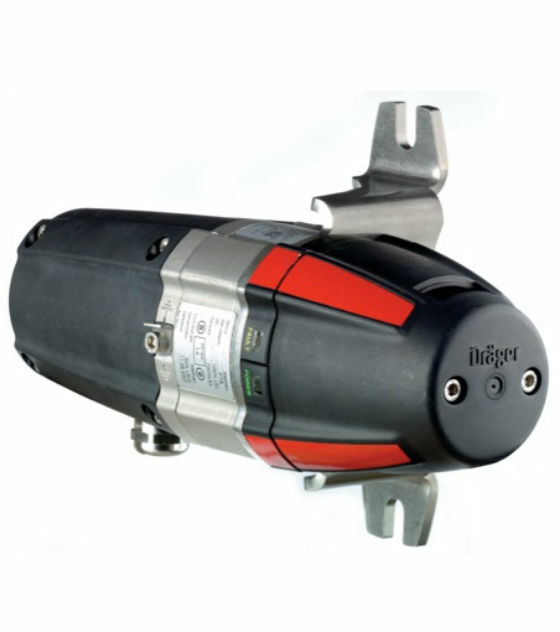 Following the success of the most stable point infrared gas detector worldwide - the Drager Polytron IR - Drager now introduce the Drager PIR 7000 which encompasses the latest in revolutionary technology. Based on patented innovations, the Drager PIR 7000 combines a maximum light collecting construction with a 4-beam signal stabilising system. The total optical system uses no light beam split, simply a set of various reflectors. This double-compensating optical system is very resistant towards known influences such as dust, fog or insects frequently found in the measuring cuvette or by dirt accumulation on the optical surfaces. Due to its non-imaging construction, the measuring signal is not affected by a partial beam block. This innovative optical system ensures that the Drager PIR 7000 fulfils the customer requirements of no false alarms, longer service intervals and a drift-free signal output. To support this, the Drager PIR 7000 offers a configurable response mode which allows the end user to choose between "normal" or "high speed" response subject to the application. Using the "high speed" option, and combining it with the lowest feasible alarm threshold, the Drager PIR 7000 shortens the reaction time in case of an alarm. Leakages can be detected at the earliest stage of their existence. The Drager PIR 7000 is delivered with the optimum default settings, but remains fully flexible to meet with the customers demands on an application-by-application basis. Whether it be reduced measuring ranges, configurable special signals (fault, beam block warning, maintenance), adjustable LEL values (values which are different across regions) all coupled with the configurable gas library (for other substances to be monitored) - all these features of the Drager PIR 7000 offer the possibility to set up every device exactly to the customer's needs and preferences. After almost two decades of experience with infrared technology, leading to a continuously enhanced product quality, the Drager PIR 7000 is further advanced as the total product has been developed in line with the Functional Safety standard EN 61508. This is applicable to both the devices hardware and software. Furthermore, the excellent parameters as detailed in the SIL 2 (Safety Integrity Level) certificate, issued by the German TUV show that only 2 % from the entire SIL 2 budget is allocated to the field device, thus providing flexibility to choose control systems and actuators. This is a new understanding of reliability - not only fulfilling but exceeding the SIL 2 requirements significantly. The complete set contains an Ex e junction box, splash guard, status indicator and mounting set, already pre-assembled.